I have had a busy weekend, baking a lot for my kids. Weekends are great because you can take your time in the kitchen and get even better results. 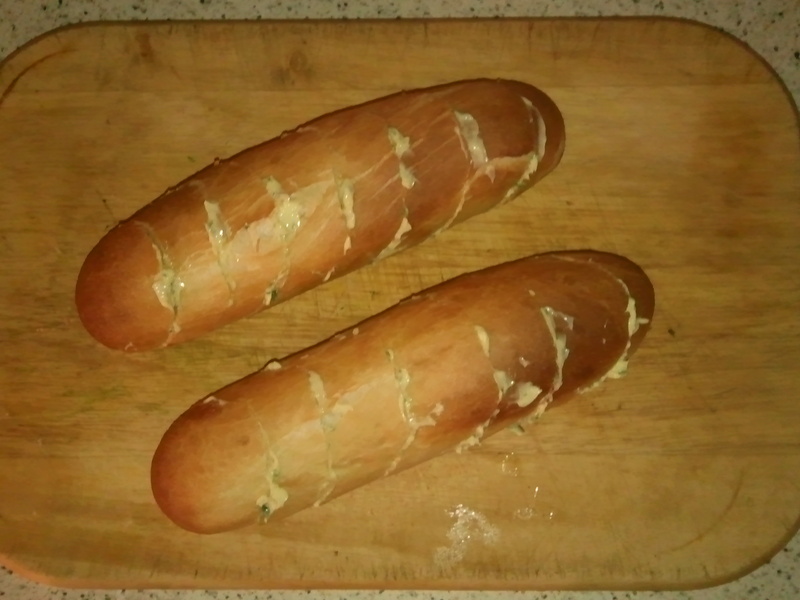 I baked some pitta breads and cheese topped baguettes on Sunday. But the kids were more excited and impressed by Saturday’s efforts. 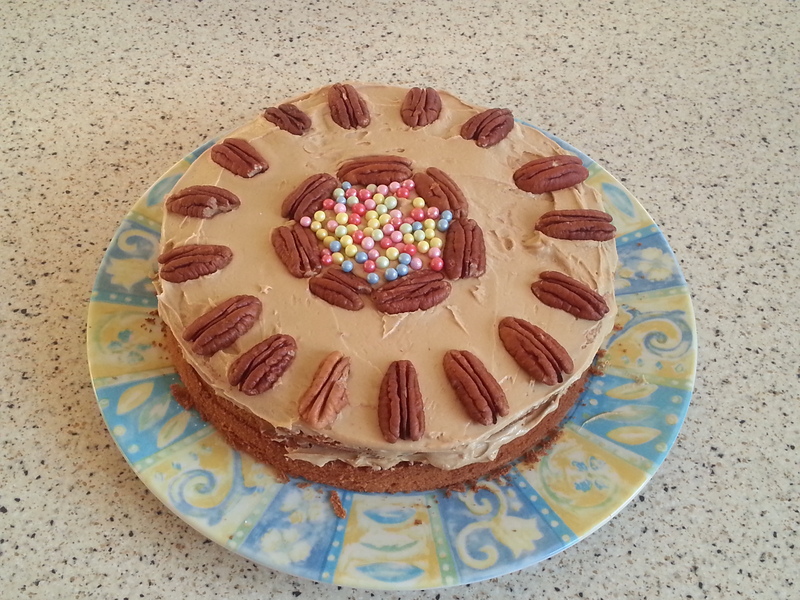 First of all I baked a lovely coffee cake. I didn’t have any walnuts so I used pecan nuts and they were delicious. 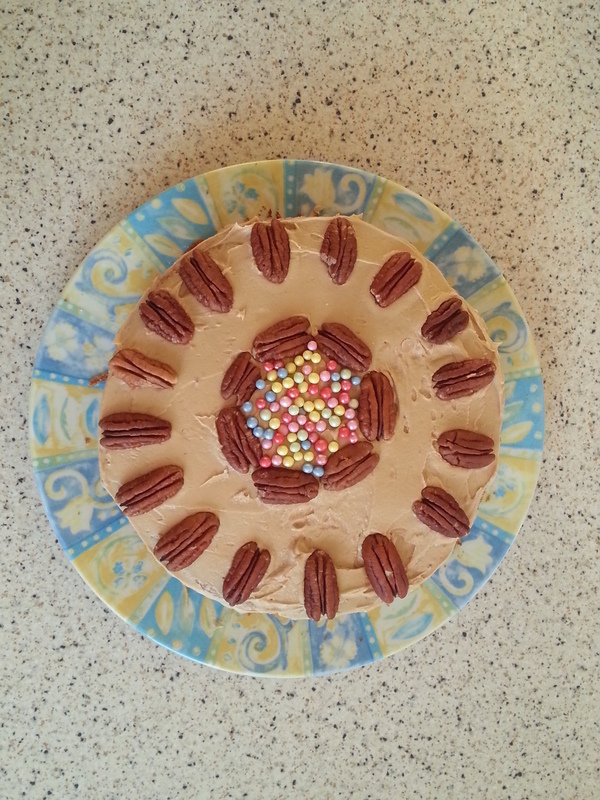 And I was going to put marshmallows in the centre but had none of those either so used the sugar balls instead. Then I started on the main course. This was homemade pizza and garlic bread. 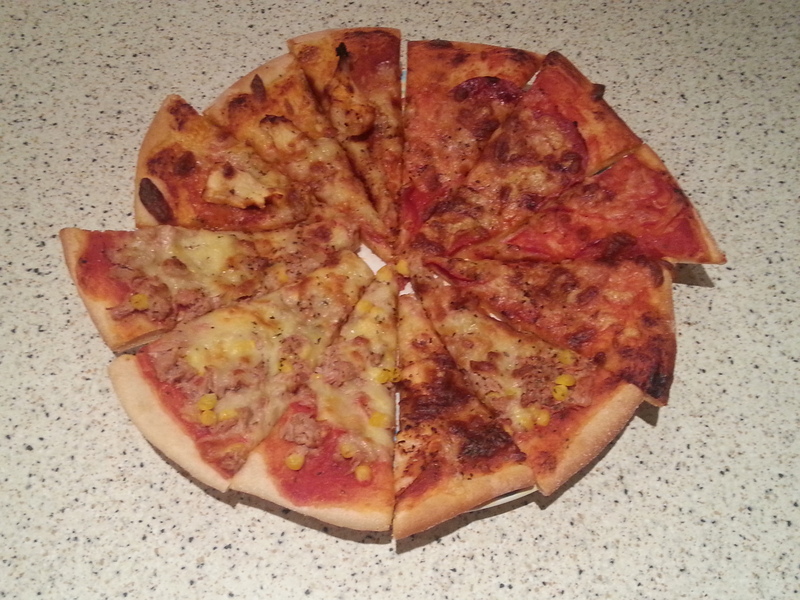 I usually make 4 pizzas with the following toppings: cheese and tomato, chorizo/pepperoni, tuna and sweetcorn and chicken tikka. I also include some roasted vegetables too – normally on half the pizza so any veg averse people can avoid them!! I served these with freshly baked garlic bread and a nice dressed salad. Yummy!